Even though I’ve been out of school for a few years now, the end of summer still always feels like I should be starting my first week of school. I remember the emotional highs and lows of my first week of my senior year of college: The excitement of seeing my friends again and picking out matching school supplies (just me? ), the nerves that came with getting back into the swing of school after a long summer (I totallyyy remembered everything I learned the last year), and that creeping overwhelming feeling as I tried to balance my classes, homework, clubs, and a part-time job (my calendar was basically booked until Thanksgiving break). Students are heading back to school this week, and it’s a time that can bring on a lot of mixed emotions. There’s a lot of pressure to have the perfectly balanced (and Instagram-able) semester, which can make students feel alone, overwhelmed, or homesick. 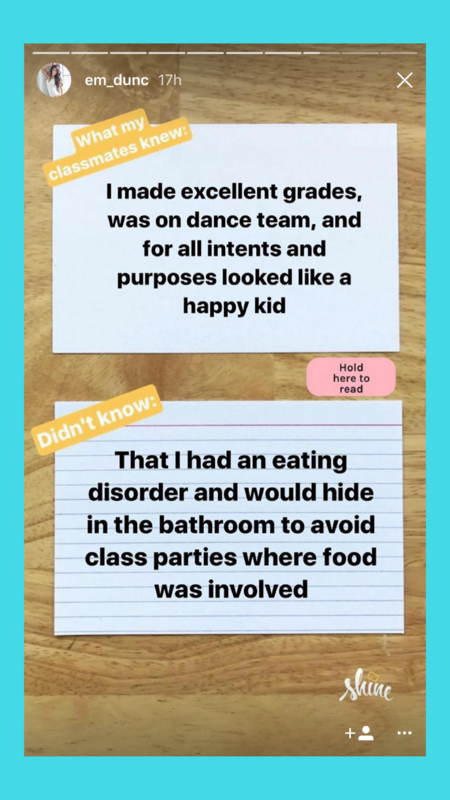 And this can vary from momentary anxiety during those first few weeks of school to an enduring mental health condition. According to the National Alliance on Mental Illness, one in five young adults will experience a mental health condition during college. It’s a staggering figure, considering how little we talk openly about mental health. That’s why it’s time to start a conversation to help students know they’re not alone. When you’re in school, you often see everyone else’s best self—or “highlight reel”—in the classroom, on the football field, or on social media. When everyone appears to be doing so well, it can make someone struggling with their mental health feel alone. 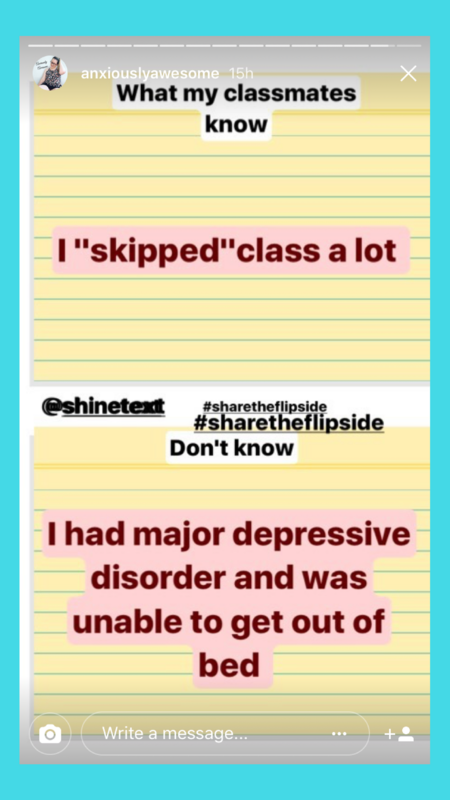 We asked the Shine community to #ShareTheFlipSide to help students realize that they’re not alone. Going back to school can be stressful and sometimes it can feel like everyone else has it all together. Spoiler alert: They don’t. One in five young adults will experience a mental health condition—and it's time to shatter the stigma. 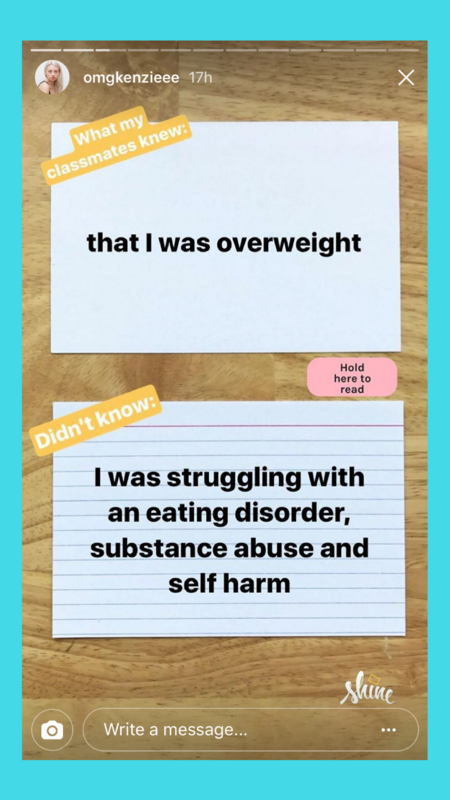 I’m joining @ShineText #ShareTheFlipSide campaign to let students know they’re not alone in their struggles. For texts to help you tackle your back to school stress, visit www.shinetext.com or text FLIP to 75985. We owe it to ourselves to talk about the way we feel—and feeling nervous or anxious about going back to school is totally normal. 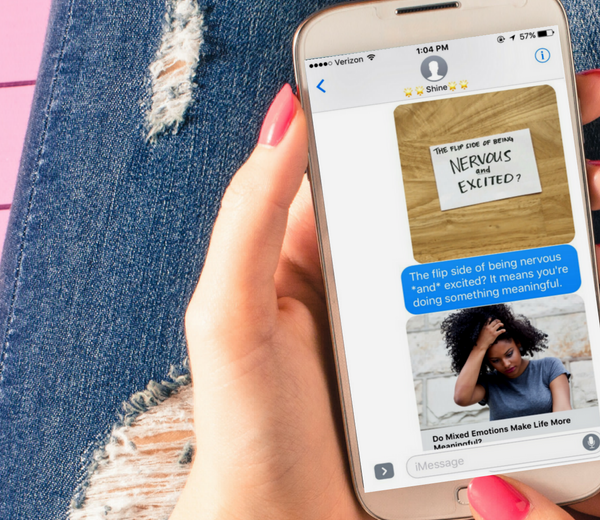 To help students see that there is a flip side to the things we stress out about, they can sign up here for five days of texts that spotlight typically stressful school experiences—like distractions, burnout, and FOMO—and offer tips to help students better navigate these common stressors. Join the movement and use this template to #ShareTheFlipSide and let students know they’re not alone this semester. If you or someone you know needs help for emotional distress, additional resources are available through Active Minds and the National Alliance on Mental Illness. Contact the National Suicide Prevention Lifeline at 1‑800‑273‑8255 if you or someone you know needs help immediately. Or, text HELLO to 741-741 if you’re in crisis to text with a trained crisis counselor.